Home News AP News Naidu quid pro quo to mobilise money for TDP! 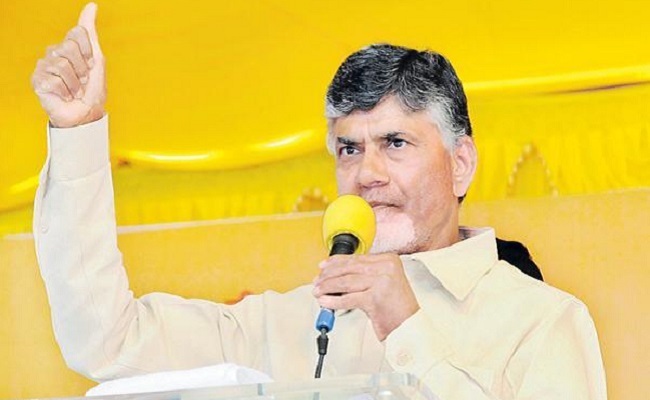 Naidu quid pro quo to mobilise money for TDP! With almost all the major surveys predicting defeat of TDP in upcoming AP Assembly polls, the TDP is attempting to bank on ‘money power’ to win elections.The TDP government is busy clearing bills of big contractors before election notification is issued fuelling speculations over AP CM N.Chandrababu Naidu resorting to ‘quid-pro-quo’. Quid pro quo means a favour or advantage granted in return for something. While TDP government has kept bills worth Rs 14,000 crore pending due to lack of funds for the past few months, CM Naidu issued orders to finance department all of a sudden to clear Rs 500 crore bills to two major construction companies taking up irrigation projects in AP. Questions are being raised over the sudden love of Naidu towards these major construction firms though AP government is facing severe financial crisis.Insiders say these contractors in return offered a whooping amount to TDP to fight Assembly polls. Naidu reportedly want to give Rs 10 crore to each TDP MLA candidate to purchase votes and to mobilise this amount, the decision to clear select bills for select contractors has been taken.In the coming two weeks, the bills of few more big contractors are expected to be cleared. Shockingly, Naidu is learnt to have asked finance department not to clear Rs 8,200 crore dues of farmers towards crop loan waiver scheme promised in 2014 polls, saying that there is no urgency for farmers but contractors should be given top priority first. Whether this quid pro quo before polls will land Naidu in trouble or not remains to be seen.